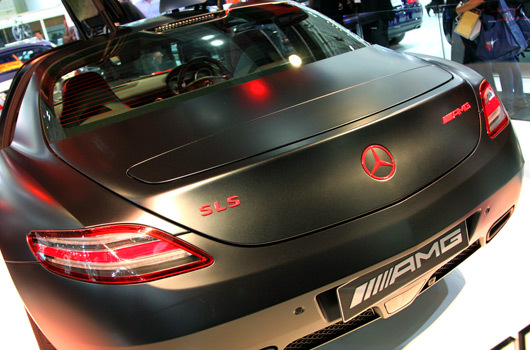 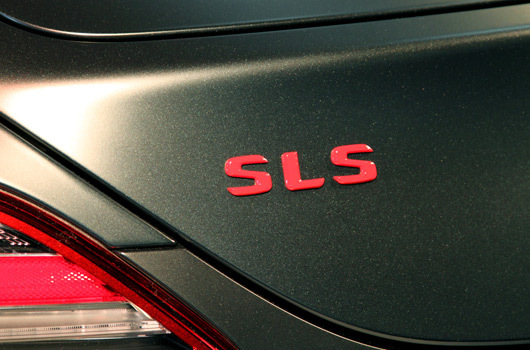 Here at AUSmotive we are unashamed fans of the Mercedes-Benz SLS AMG. It’s such a great looking car, it has a superb sounding engine and it references the 300 SL Gullwing—a car so beautiful and perfect in its proportions it has rarely been equalled since. 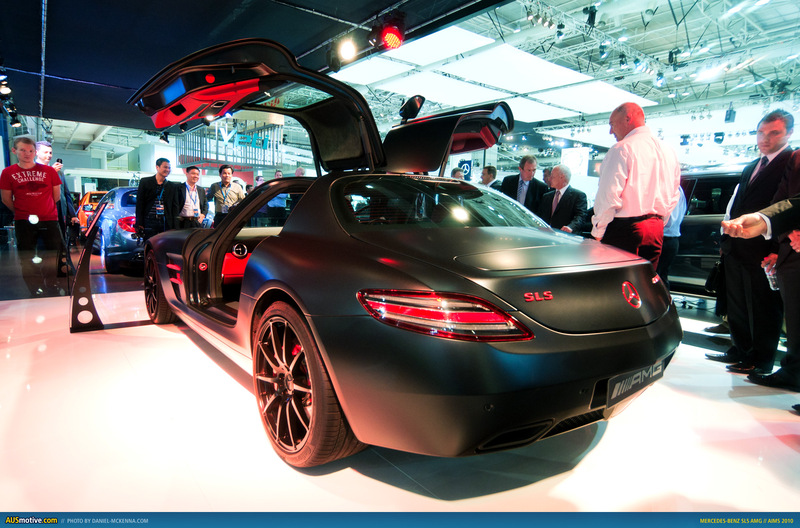 So when we saw the 21st century Gullwing under its cover at AIMS yesterday our anticipation levels reached new heights. Would it be classic silver or that metallic red so often seen in press pics? 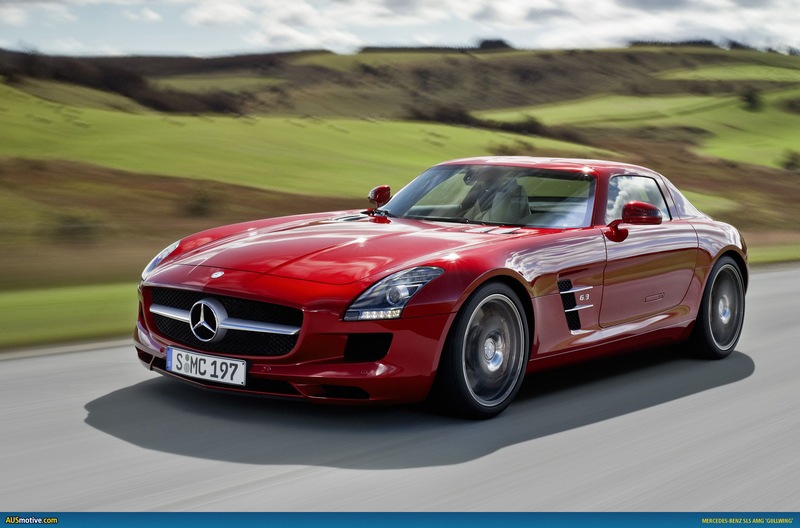 Neither. 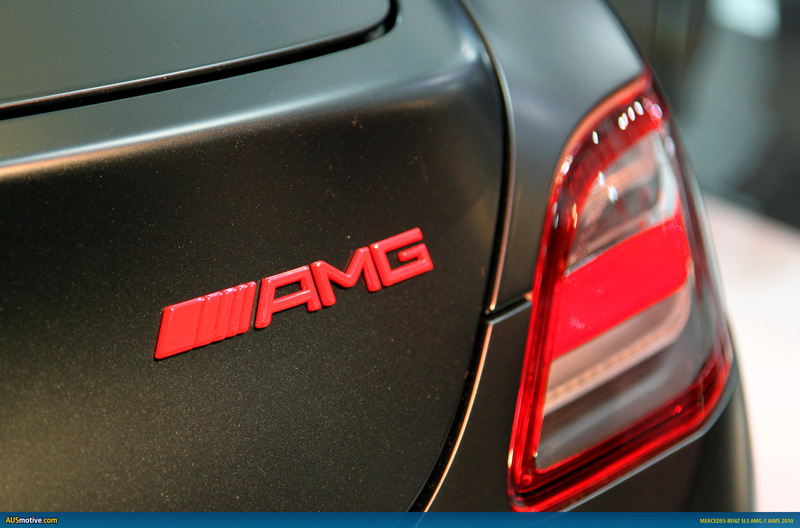 It turns out we saw a colour combination that had never been seen before; that’s right this was a world first. 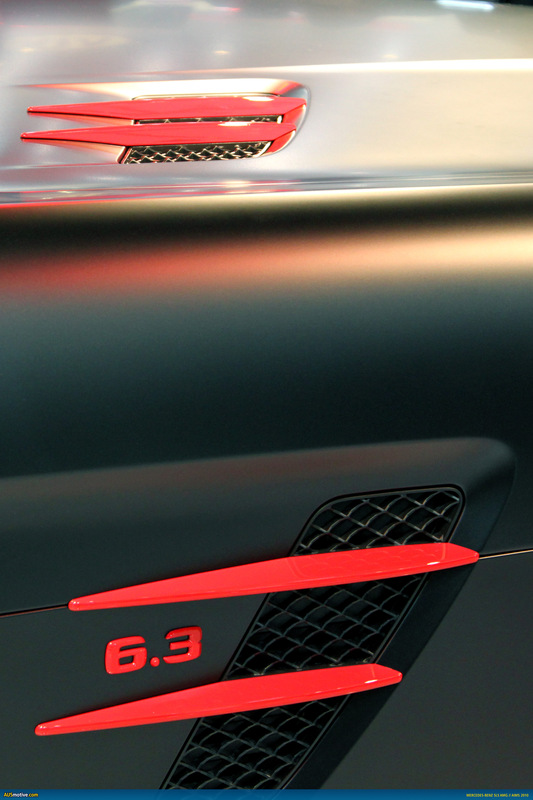 And what a spectacular result it was too—designo magno Night Black (that’s matte black to you and I) with bright red detailing. In truth the red splashes were a little OTT, but the matte black bodywork was stunning and we were not disappointed. 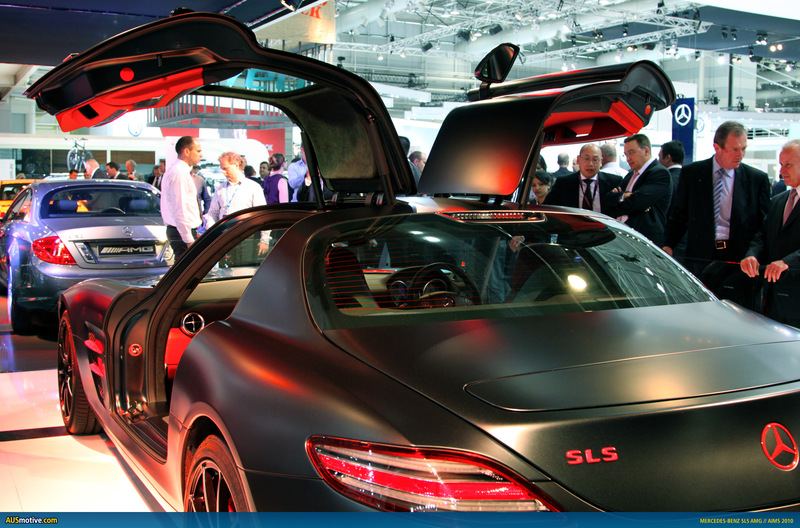 Check out more pics form the show after the break. 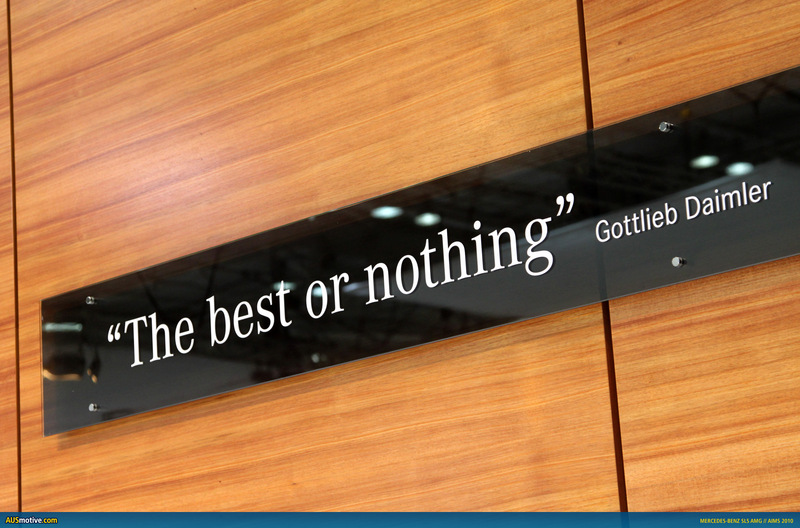 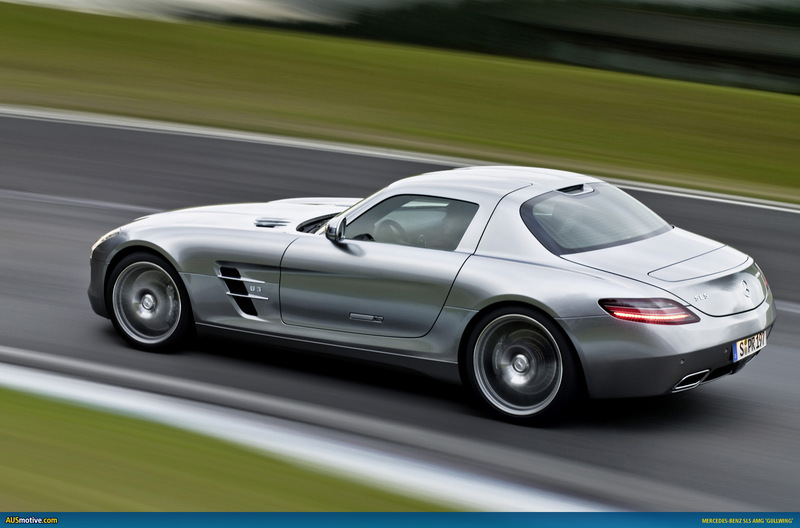 Mercedes-Benz Australia is pleased to introduce Concept 358 and a very special SLS AMG. 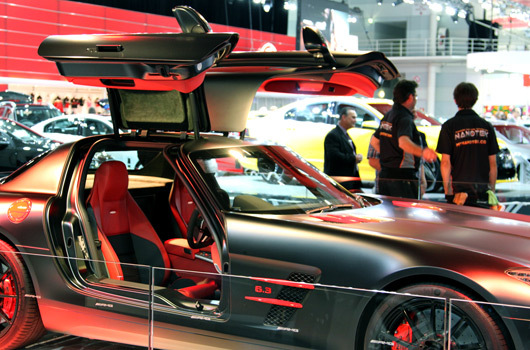 Both vehicles were co designed by Mercedes-Benz Australia and built by AMG exclusively for the 2010 Australian International Motor Show. “I hope you enjoy them as much as we did building them,” said Spitzner. This unique SLS AMG is the first and currently the only SLS AMG in the world to be painted in designo magno Night Black. 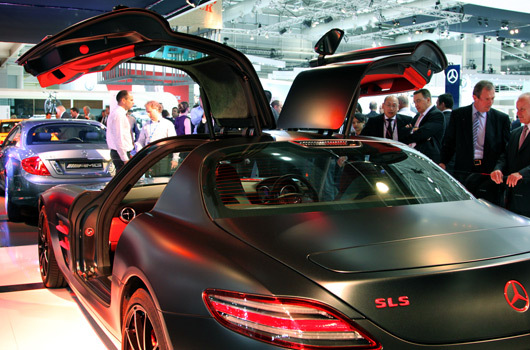 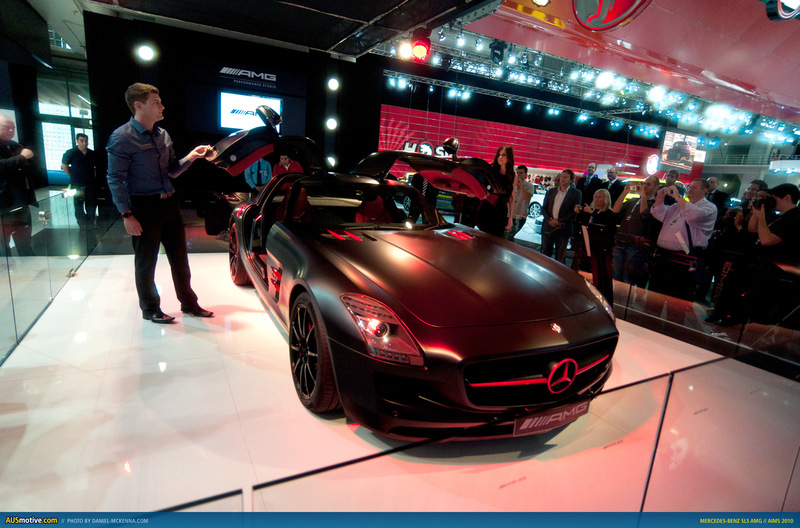 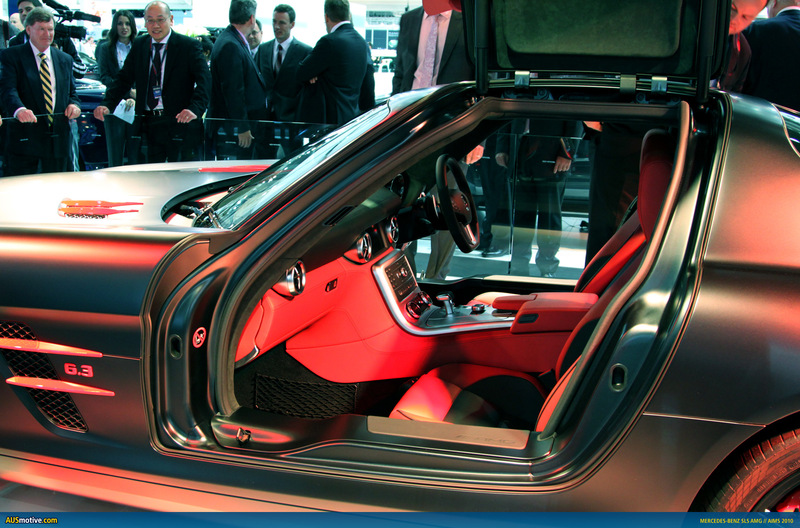 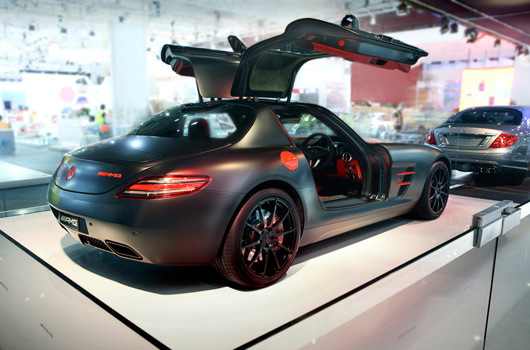 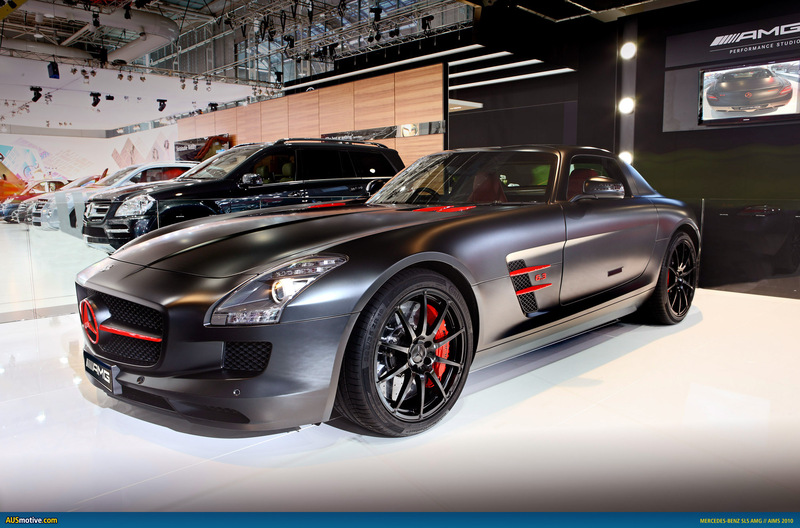 Along with the red highlights both inside and out, this SLS AMG is sure to be an instant collector’s item. The Managing Director of Mercedes-Benz Cars Australia, Mr Horst von Sanden said “Each Mercedes-Benz vehicle is special, but for this year’s motor show we wanted to go that next step and bring two world exclusives to show the Australian public.